The U.S.S. Sequoia was once known as America’s most famous boat. With a presidential stateroom, guest bedrooms and a dining room, it’s no wonder eight presidents used it for work and play. President Herbert Hoover and President Franklin D. Roosevelt were pictured fishing on the U.S.S. Sequoia. But Richard Nixon was the president who used it the most. He discussed the nuclear arms race with Soviet leader Leonid Brezhnev there and after Watergate it was on deck he decided he would resign. “He actually asked the crew to turn off the lights and leave him alone. He played ‘God Bless America’ for over 30 minutes at the presidential piano that Truman installed and was in his own state of desperation,” said Captain Matthew Vilbas. Vilbas has been the ship’s captain since 2010 when the boat was being hired for private charters. He said ownership of the Sequoia has changed hands several times since 1977, when President Jimmy Carter decided the government no longer needed a high maintenance luxury yacht and sold it. The ship puttered along the Potomac in retirement until a few years ago when she was hauled out of the water for maintenance. That’s when the saga of the Sequoia ran aground. Slowly, with each passing season, she withered. “The status of the vessel is we need to protect it immediately, get it through the winter. Currently, she is stressed,” said Capt. Vilbas. The damage isn’t just on the outside. The interior has faded into squalor, too. Inside, where President John F. Kennedy celebrated his last birthday, Capt. Vilbas discovered a family of squatters—five baby raccoons sitting on an American flag. “There [were] a few rooms where the animals defecated on carpets, including presidential carpets where presidents spent time with their families and foreign and national persons,” said Capt. Vilbas. 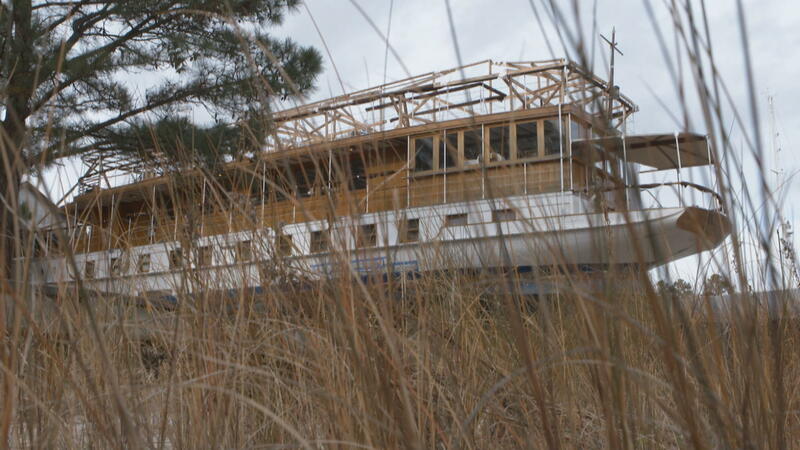 So how did America’s most famous boat descend into a rotted raccoon nest? During the past several years, the Sequoia has been at the center of a contentious legal battle to decide its rightful owner and who should bear the cost to repair it. Last month, a judge ruled a company that has already sunk a fortune into the ship could purchase it for zero dollars. But the company is now arguing this boatload of troubles is worth millions less than zero. Capt. Vilbas said the historic yacht deserves better. “I spent hours, days, evenings with and without family on board in what I felt has been a great honor to serve and provide experiences for many different persons. And when you spend that time on her, it becomes an extension of yourself,” he said. The captain is determined to see the Sequoia sail again, once the litigation is settled. But he said it will take more than money to return this landlocked and lonesome ship to its former glory. The restoration could take 15 to 20 shipwrights trained in classical wood building and 10,000 plus hours of work. The plan is to take the Sequoia up to Newport, Rhode Island, to begin that restoration, a process that could take up to three years.